Jay Ambrose 1962 AHS-1962 A nationally distributed columnist, Jay served as editor of a weekly newspaper at the age of 23. He served as editor of El Paso Herald Post and Denver’s Rocky Mountain News and later was director of Editorial Policy for Scripps Howard Newspapers in Washington, D.C. He served as a Pulitzer judge and on the board of the American Society of Newspaper Editors. Dorothy Russell Banta 1973 AHS-1963 A member of the Latin Club and National Honor Society, she was a National Merit Semi-Finalist. When she graduated from Vanderbilt, she was recruited by IBM. Under contract to NASA, she was a pioneer in United States Space Program, working as a mission support programmers in the Apollo and Space Shuttle programs. She died of cancer in 1995. Martha Barnette 1975 AHS-1975 After graduation from Vassar (Phi Beta Kappa), she worked as a reporter for the Washington Post, and editorial writer for The Courier Journal. She currently hosts a NPR program entitled “A Way with Words,” a logical outgrowth of her three books about words. Donald Blackburn 1965 AHS-1965 A successful businessman, he was the recipient of the Robert Strauss Award for his service in the field of substance abuse through his founding Beacon House, a 42 man residential recovery program. He has served on the board of Pitt Academy and is involved in the Big Brother /Big Sister program. He received the 2000 Centre College Distinguished Alumnus Award. Charles Loyd Coleman 1966 AHS-1966 A cross-country and track star at Atherton, Charles joined the Marines after graduation. In Viet Nam he was killed in action when he stayed behind to cover the retreat of his unit in 1968. Robert Ewald 1958 AHS-1958 After receiving his law degree at the University of Louisville he spent three years as a Judge Advocate USAF. He founded the Jefferson County Public Defender Office, named as National Pro Bono Lawyer of the Year for his dedication to and advocacy of the principles of equal justice for all. In 2006 he was elected President of the Kentucky Bar Association. John P. Gaventa 1967 AHS-1967 Rhodes Scholar, received a MacArthur grant in 1981, the same year he received the Woodrow Wilson Book Award from the American Political Science Association. Trustee of Oxfam in Britain, where he is at the University of Sussex’s Institute of Development Studies. Jane Goldstein 1962 AHS-1962 Assistant Dean for Development & External Relations at the University of Louisville College of Business, she received the Red Apple Teaching Award at the University. Jane has been an active volunteer. She served as president of the Jewish Family and Vocational Service, Association of Jewish Family and Children’s Agencies and the Jewish Community Federation of Louisville. She served on the board of the Jewish Hospital. Marlene Ontell Gordon 1962 AHS-1962 After the birth of her three children, she received a Master of Arts in teaching from Spalding University. She worked for nine years at the Home of the Innocents before becoming the first JCPS coordinator of homeless and migrant education. She is currently the Executive director of The Coalition for the Homeless. Erika Grawemeyer Kravic 1976 AHS-1976 Erika is a member of Children’s Hospital Foundation Office of Child Advocacy of Kosair Children’s Hospital. Promoting childhood injury prevention initiatives. Coordinator of the SAFE KIDS Coalition for 14 years, she has been involved in child safety seats, bike helmets, and loaner car seats. Daniel Roth 1991 AHS-1991 Five time winner of the TJFR Business News Reporter’s Top 30 Business Journalists under the Age of 30, Best Story on entrepreneurs, a ballerinahip, 2005 Business Journalist of the Year Awards. He is a senior writer at Conde Nast Portfolio, a new business magazine being launched in May 2007. Louise Tachau Schulman 1947 AHS-1947 Her professional career included public and community relations work with Kentucky Department of Mental Health, The Louisville Orchestra and the State Human Rights Commission. She has been involved in volunteer work with adult and continuing education. In 2006 she received the “Mayor’s International Award for Lifetime Achievement” for her leadership and volunteer work. Tyree Wilburn 1970 AHS-1970 After over 30 years in the hospital industry, he serves as CEO of Merit Health Systems, provided the investment capital for Aptamera, a biotechnology firm which has developed an early cancer detection list. 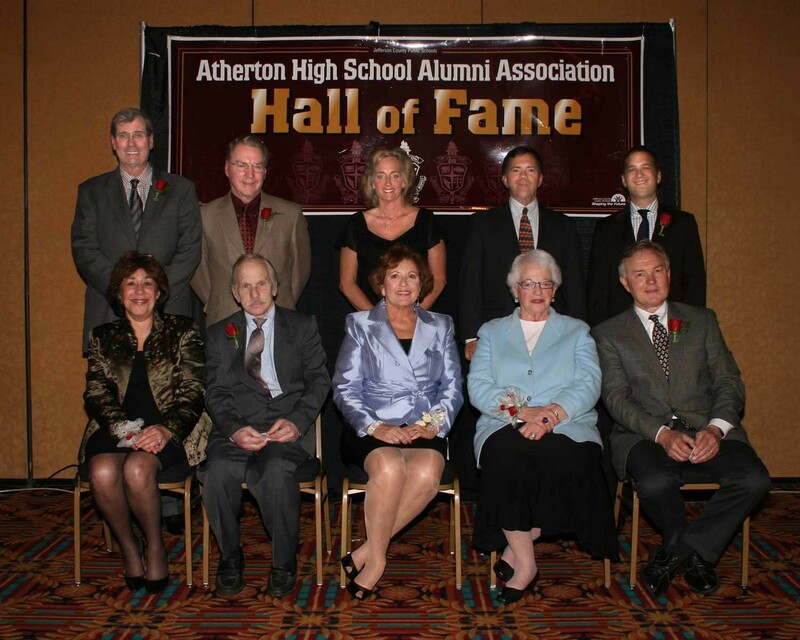 He has also supported the renovation of the Field Hockey field at Atherton.